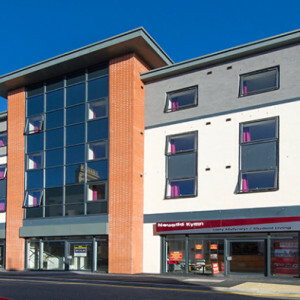 Located on the High Street with lots of shops and bars close by and just 5 MINUTES WALK to Uni, Neuadd Y Castell is a great option if you’re looking to share a 2 BEDROOM APARTMENT with a friend. 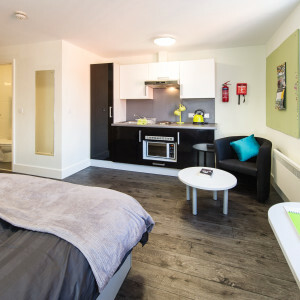 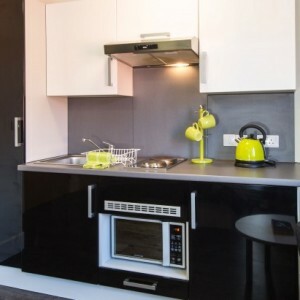 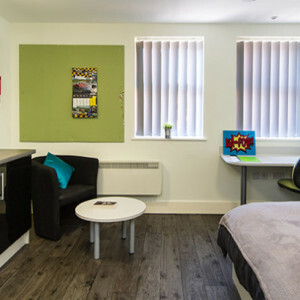 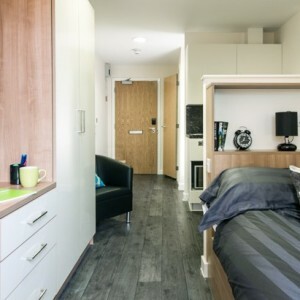 Each bedroom comes with a small double bed, stylish modern furniture, study area and loads of storage space, then there’s a shared bathroom and OPEN PLAN LIVING ROOM & KITCHEN, complete with WASHING MACHINE and DISHWASHER! 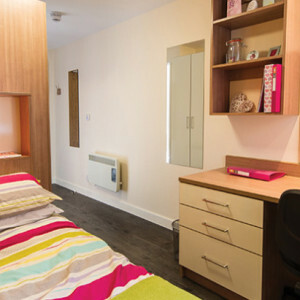 With ALL BILLS, INTERNET, as well as FREE CONTENTS INSURANCE INCLUDED, Neuadd Y Castell is a great value choice for those looking for a student apartment to rent in Bangor.